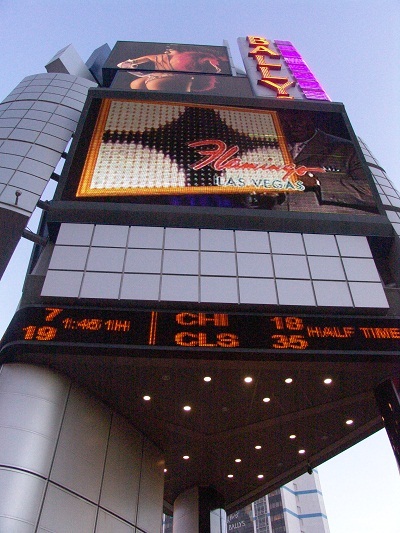 Bally's Hotel and Casino is located at 3645 Las Vegas Blvd south, Las Vegas, NV 89109 which is on the corner of Flamingo and Las Vegas Blvd. 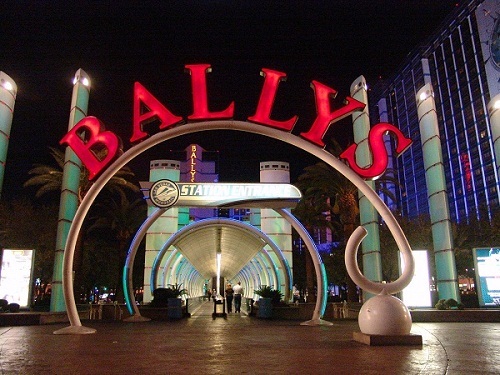 Formerly the site of the MGM Grand, Bally's is famous for being exciting and big. 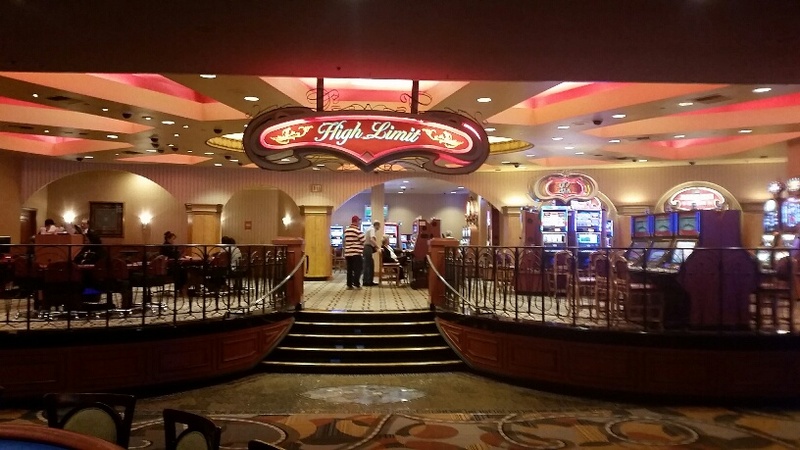 The location is the best in Vegas, everything is within walking distance. 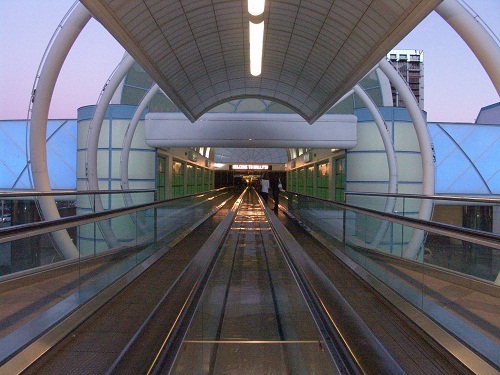 Bally's is connected to Paris via a shopping corridor. Across the Street is Bellagio to the west and Cromwell to the north. 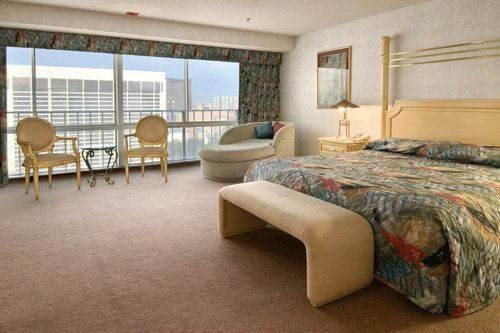 Ballys has the biggest standard guest rooms on the Las Vegas Strip. To get a guest room this size elsewhere, You would have to get a suite. 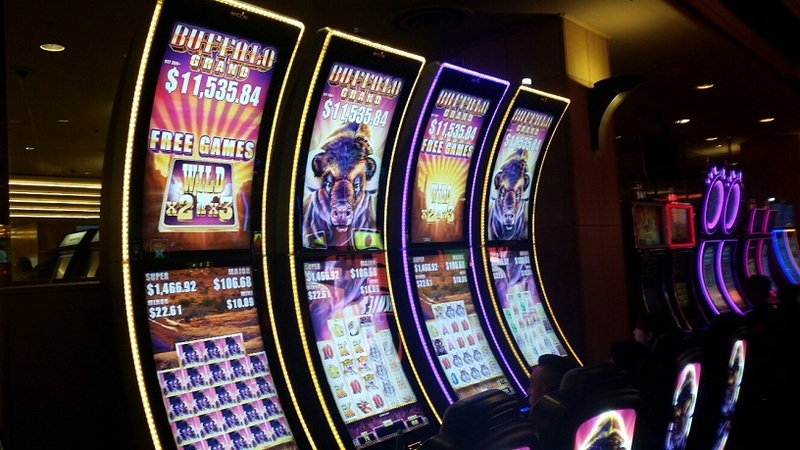 Ballys is ready for a complete makeover but until then, You can get a huge room for less than a tiny updated one elsewhere. The rooms are clean and comfortable. 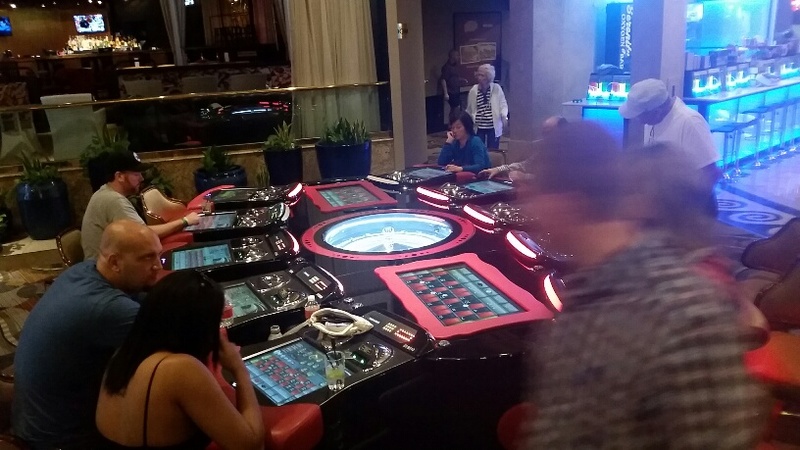 Bally's is now calling the pool the Blu pool and is opening it to the public for a fee. 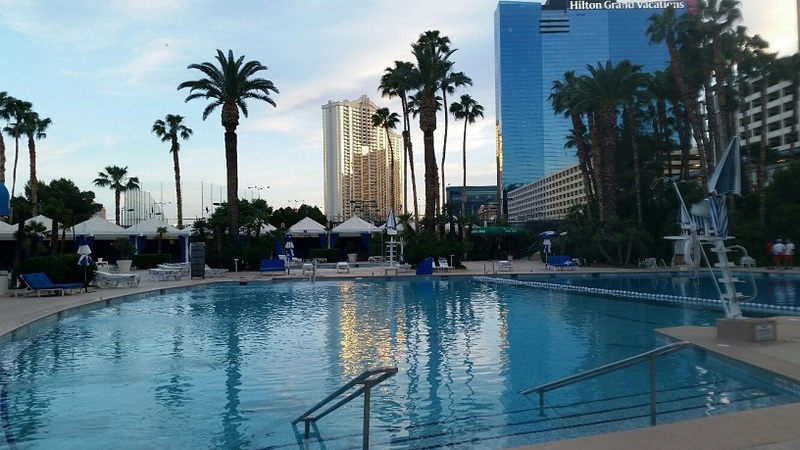 You can enjoy the pool if You are not a guest for 10 dollars and they offer cabanas and other packages beyond that. You can enter for free if You are a Hotel Guest. The Pool doesn't seem like anything special when it has no People but this pool can really be a party at times when entertainment is provided. You can see this pool very well from the Monorail platform so if You are riding the monorail take a look. 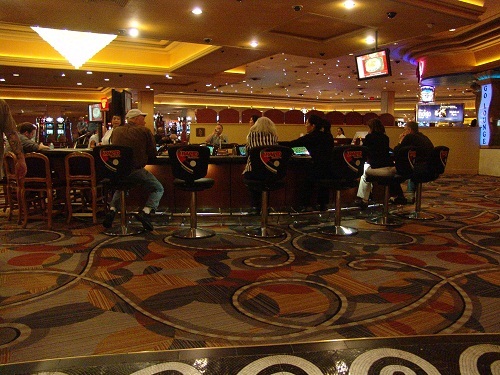 Bally's Sports book: Bally's Las Vegas Casino remodeled Their Sports Book in 2009, it reopened on august 26, 2009. New Lcd tv's are now at all the seats. 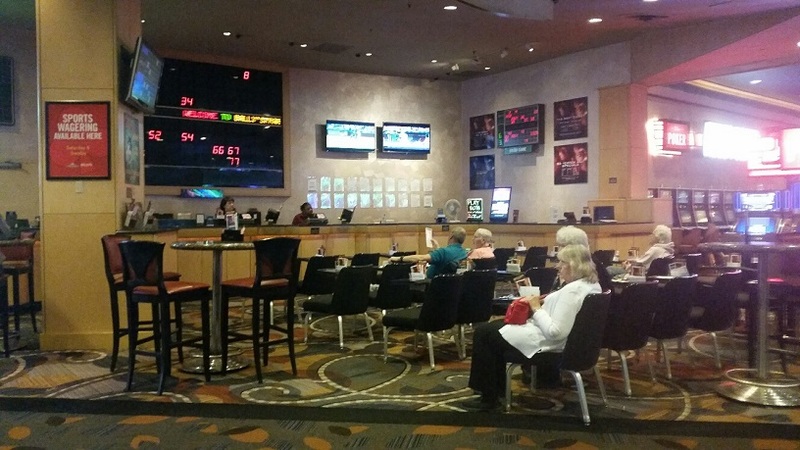 This is one of the only Vegas sports book with theater style seating. The booking desk is lower than the seats so that you have a great view of everything regardless of your seat. 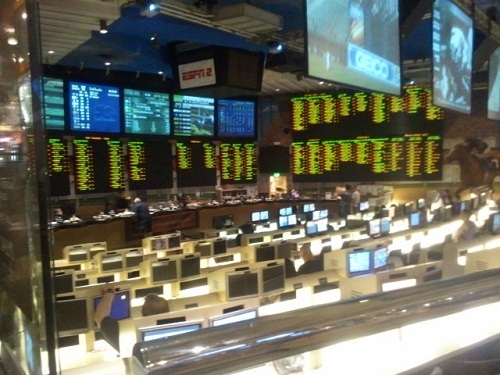 Bally's Sports Book is very modern and is the center of excitement during football season. 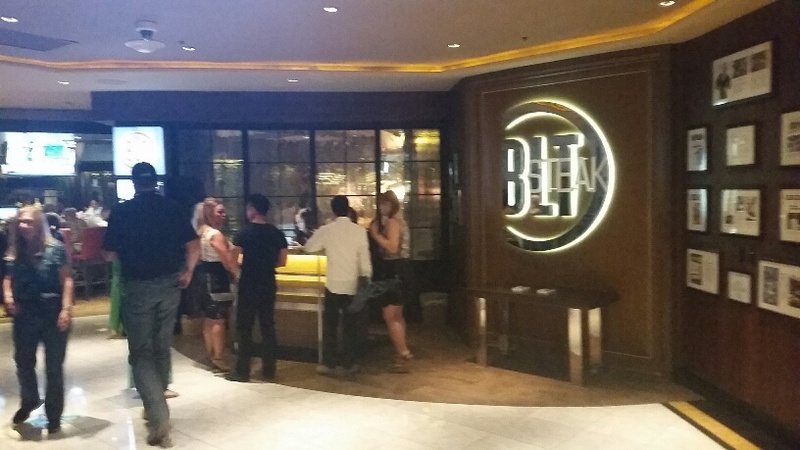 Most of the loudness is at the bar attached to the sports book. It's a great sports themed bar. If You are hungry the food court is right there, steps away. Recently Sbarro started offering drink specials during games. 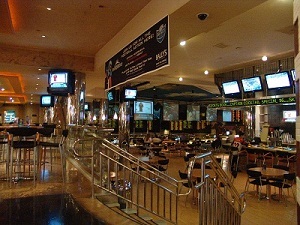 Sbarro is adjacent to the Ballys sports book. 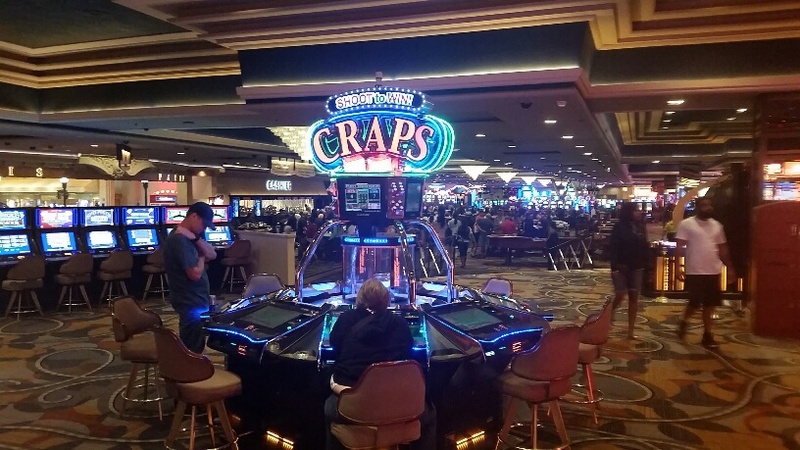 Unique to Bally's casino: Play the machine version of Craps or Roulette right next to very good live entertainment (late afternoon and night). 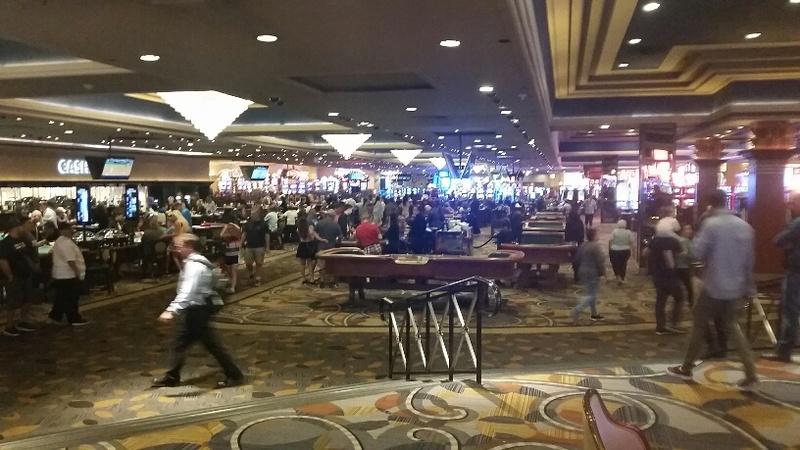 Smoke Ventilation: average, this is a very large Casino with high ceilings but it can get very crowded at times so it can be smokey. Cocktail Service: Good, unless its a slow day and They cut the staff too much. 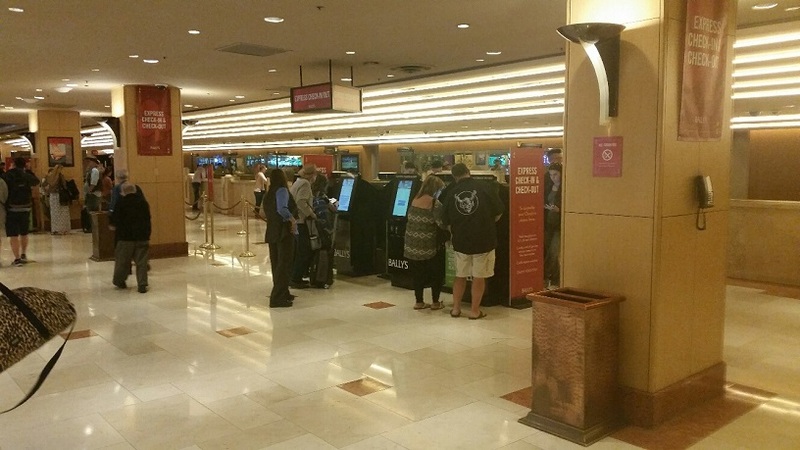 Restrooms: Avoid the busiest sections of the casino. The restrooms near the keno area I found to be cleaner and not crowded. I would walk to Paris next door (south) if You want a really nice restroom. Overall Atmosphere: This place stays busy, it can be loud but lots of fun. If you don’t mind a little crazy you can have lots of fun here. 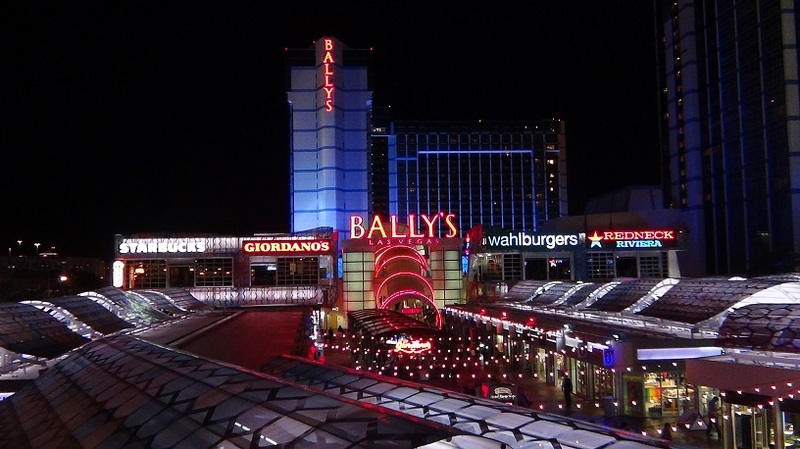 Check out Hotel shuttle bus service to and from Ballys. 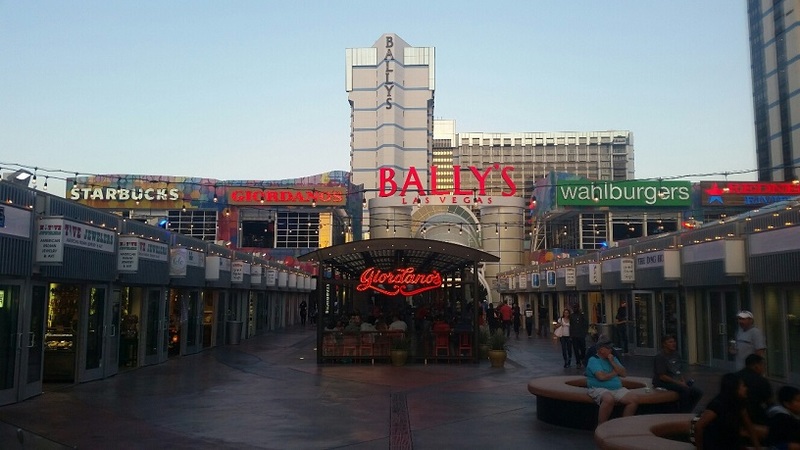 The new look at the front of Ballys. It offers many shopping choices as well as food and drink. 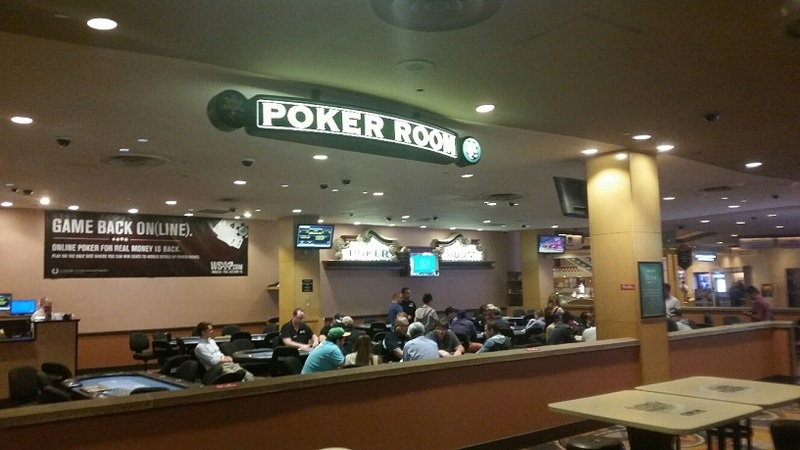 The Bally's Casino can be one of the loudest in Las Vegas, if You like non stop action this is the place for You. 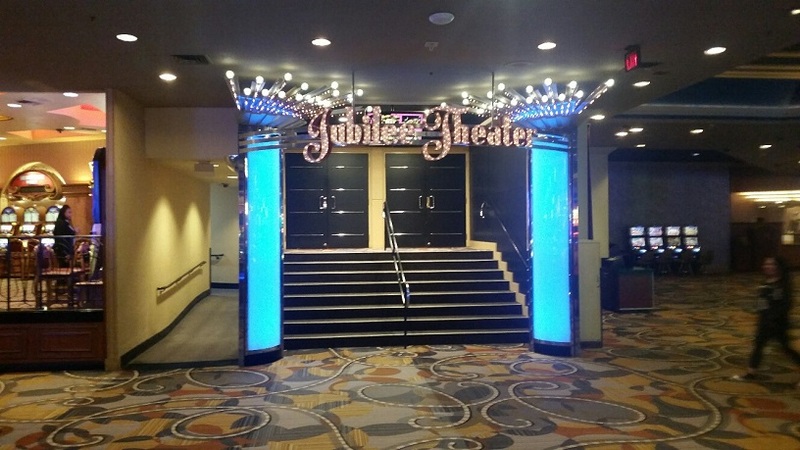 You can search for tickets to Ballys shows HERE. 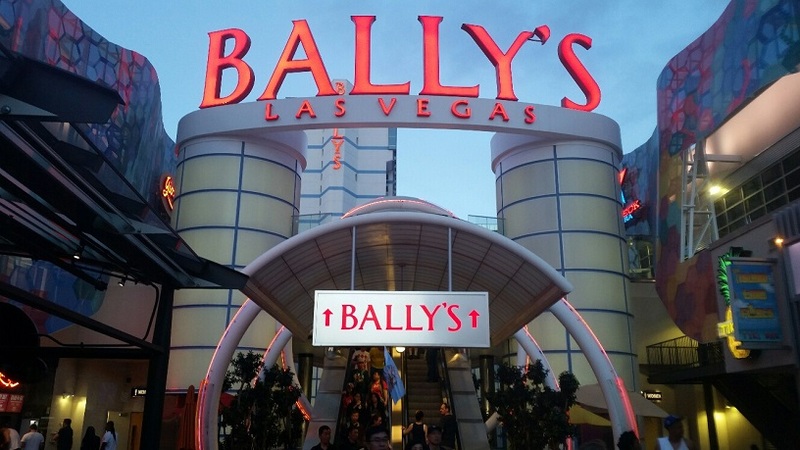 Ballys iconic sign is a great picture spot. Stand across the street at Cromwell to get he full sign in the background of your picture.